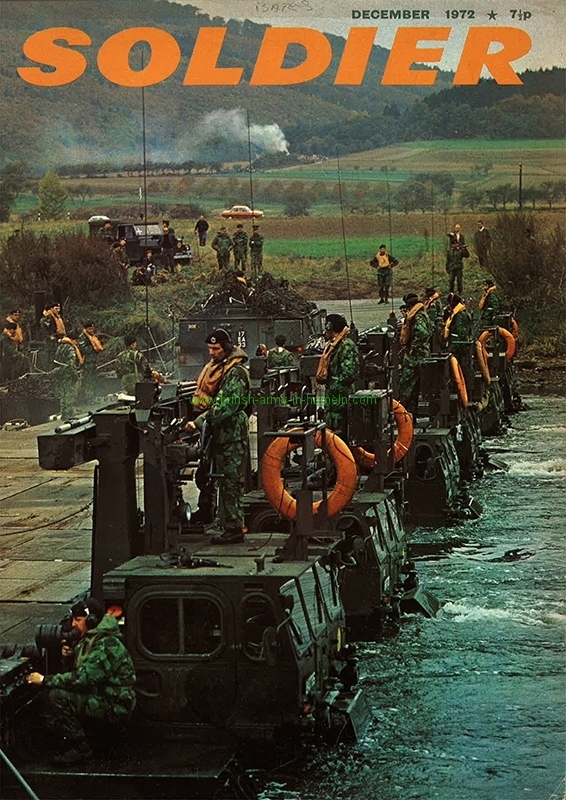 A blast from the past…… Exercise Swordfish took part in 1972 around Hameln, Holzminden, Hannoversch Münden! Found the issue of Soldier Magazin in my archive. Leading unit was the 12th Mechanized Brigade! 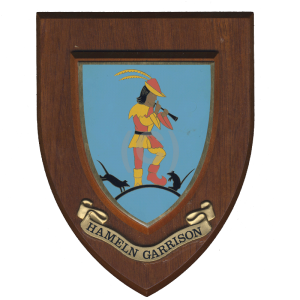 But read the great article of the Soldier Magazine about the Royal Amphibious Engineers of Hameln! 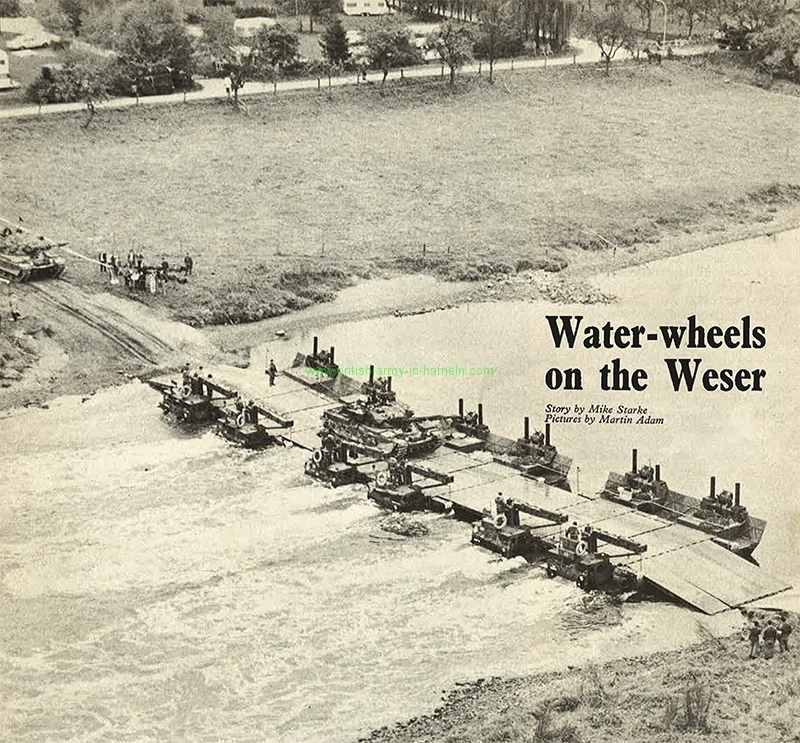 What a discovery, first reference I have located in connection to 64 Amphibious Engineer Squadron bridging the Rhine since the end of WW2. I had the pleasure of being one of the pilots who ‘closed’ the first bridge on that day in June 1972. We built the bridge in support of our Amphibious Engineer colleagues in the German Army. 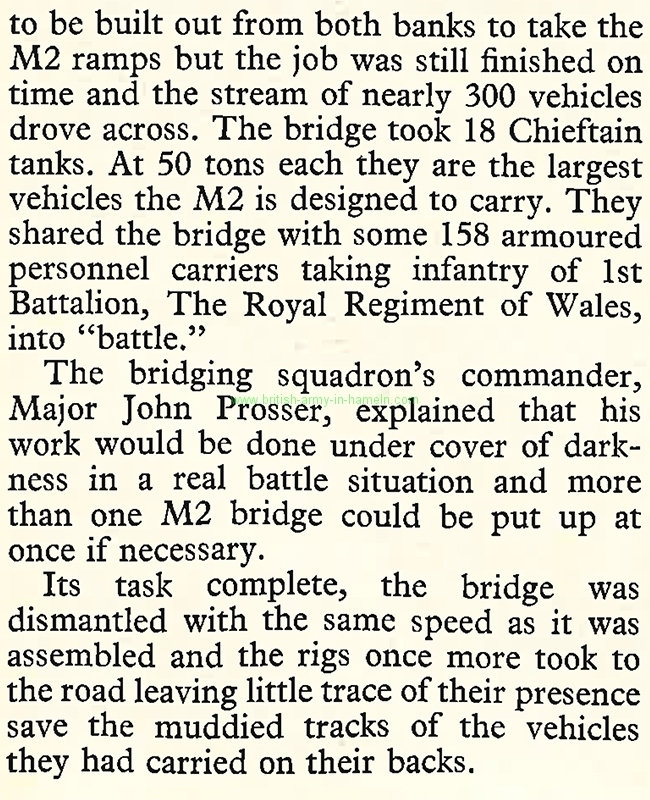 Soon after we opened the bridge and the German unit closed the bridge again to allow road traffic across. A memorable and historical day for all who took part. 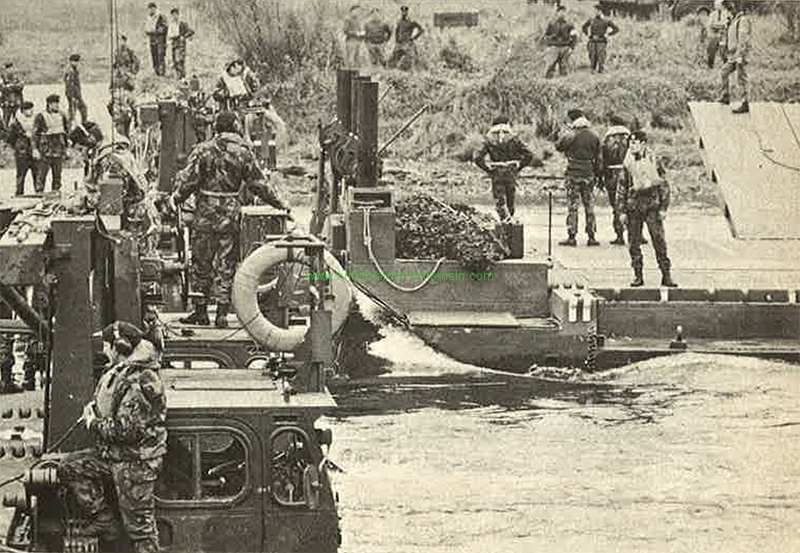 The most fearful time of that operation was that we were on a ‘timer’ and that the Rhine had to reopen for river traffic on time. And many of us noted that the rather large barges were already preparing and lining themselves up for the ‘start’ well before the bridge was ready to open. When we finally all separated, the M2 Rigs independently had to manoeuvre between these much larger barges to reach the Alter-Rhine for safety. Very scary!! 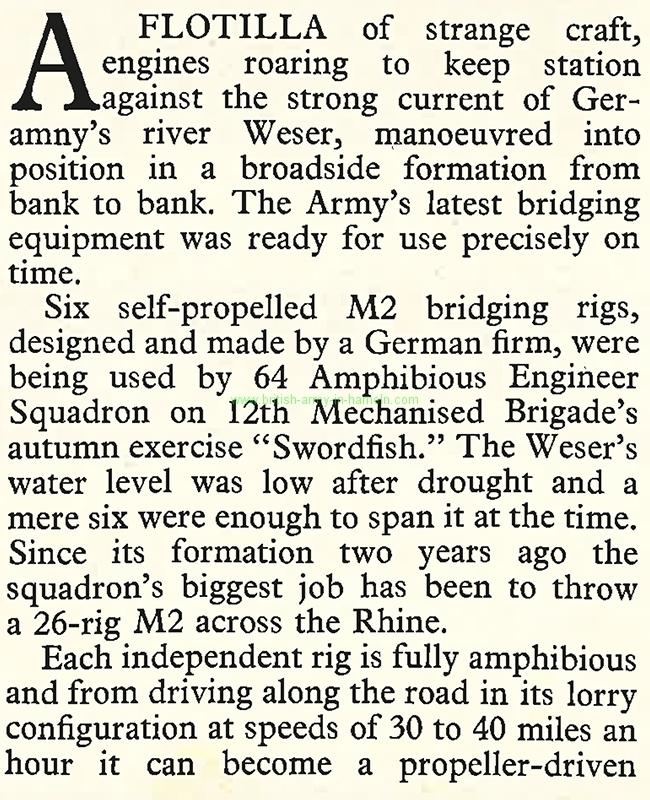 The main reason as to why I had to make comment on this specific topic, is that a number of years ago I read a article making reference to a Royal Engineer Amphibious Squadron (Not 64 AES) making history by bridging the Rhine for the ‘first’ time since WW2. I did write to the author of the article in question to advise about 64 AES achievement in 1972. However, I received no response. 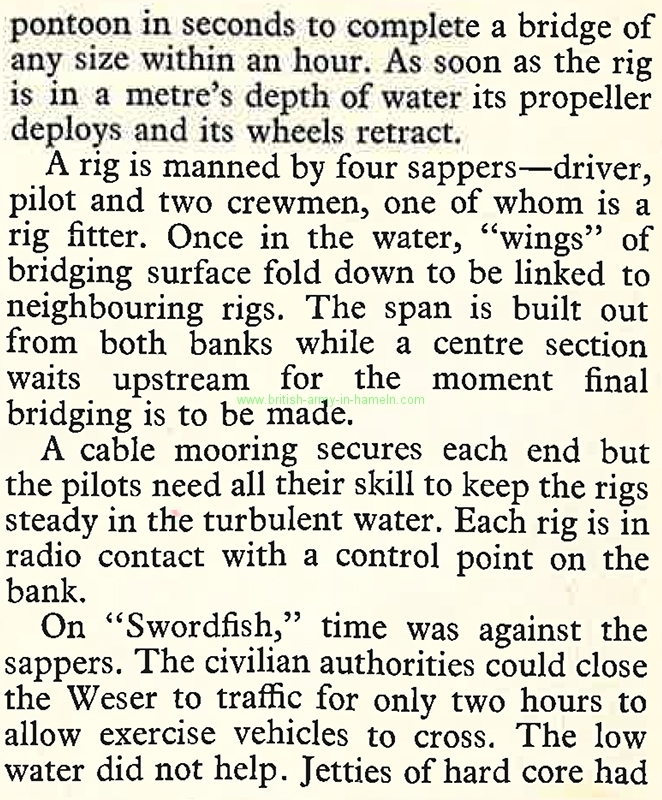 I also recall the particular exercise Swordfish, great memories. Best time of my military career.